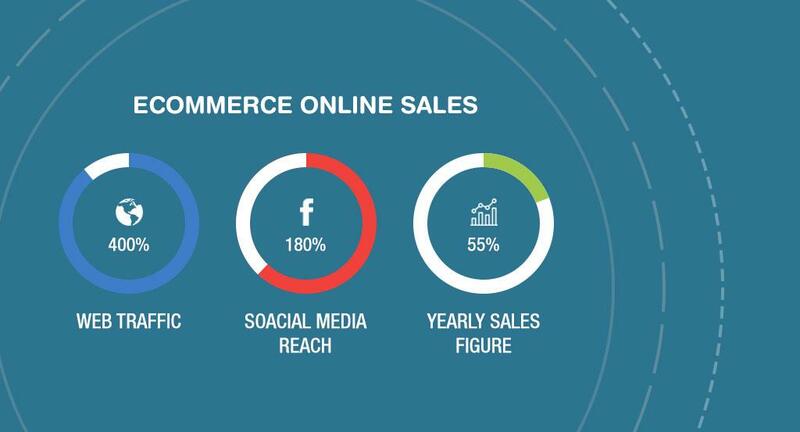 A single mouse click can determine your ecommerce sales and revenue in this technology world. However, it requires a great deal of workout to bring this single mouse click on your website. If you are running ecommerce store then it is obvious that you want higher ranking in search engine by beating your rivals. Many ecommerce merchants fail to acquire position in search engine due to lack of online marketing (search engine optimization) oriented website. How do you make Online marketing oriented Website? We wish to answer this question through our one of case studies to make you aware in depth about strategic online marketing. Now we are going to reveal case study. One of our regular website visitors asked a question about Hire Online marketing Service to maximize sales and revenue over the web. However, he has started garment online store and has little knowledge about Online marketing related website. We considered the question, did research on his website, and guided him a proper online marketing strategy. After strategic implementation, there is a 55% boost in sales and revenue. NOTE: We have only shown the above figures due to relevancy of this report. However, we do not disclose client’s confidential details. The figures are only given to aware about the impact of online marketing strategies. We have conducted a full report that includes keyword research, competitor analysis, and website issue, on page optimization, off page optimization. We started our detailed figure out from keyword research. The keyword research includes targeted keywords that are relevant to brand or product carrying low volume score. Keyword is a backbone of any online website because visitors will arrive to website using keyword relevant to your brand and product. We below considered keyword for product page and blog page. We suggest keywords with high exact match volumes that are relevant to garment store. We also proposed to keep off too broad or competitive keywords because it cannot produce great results and will end up in large bounce rate. The reason behind it when visitors click through a website, they could not find their desired product. In addition, if we go for high completion keyword, it will take time in getting higher ranking in search engine. Blog content can bring more visitors on the website and here, we propose few long tail keywords for blog page that were not part of home or product page. Long tail keywords carry more than a single word that people use to find for unique searches. These keywords represent high exact match search volume with low difficulty score. Do not try to manipulate keywords but focus on high quality content because search engine like Google consider great content, which is being written for people and not for ranking. Now we are in the second part where it is necessary to find out competitor’s keyword research that could influence business sales and revenue. We did research on competitors keywords so that we can get exact idea of their search ranking. We also considered their domain authority (DA) and page authority (PA). There are tools available to find the PA and DA of competitors. On base of our research, we here used different keywords other than competitor’s keywords to get better result in search engine. From where rivals are getting their inbound links so we targeted such websites to get links. We advised client to make own page, or take help from blogging but avoid getting links from low ranking sites as such sites can spoil search rankings. We made change in product category also. In Ecommerce website, pay attention to product category that should be divided in multiple sub titles like related product, popular product, and most viewed product, and recently viewed product. The other essential factor is responsive website design that we told client to implement it that can adjust with any screen resolution like desktop resolution, Smartphone and tablet resolution. It gives best optimization outlook and flexibility to users while surfing website. After keyword research and competitor analysis, it is time to go in depth to find current issues related to website. We found certain issues with website and the issues we came across are as under. • We used webmaster and other paid tools to find website errors. These tools can crawl website links, CSS, scripts and gather data pertaining to site errors including duplicate page, header tag, website redirecting, meta titles, meta description etc. We here at our client’s website found missing 302 redirect and 404-page error and some Meta titles and description errors and according to it, we rectify them. • We proposed to increase website speed because visitors will move away from website that contained slow speed. The website speed should be less than 3 seconds otherwise visitors will find other website through search engine. Now after facing with current issue in website we moved to On-Page optimization that includes actions that brings website ranking in higher position. On-page Optimization covers below points, which we also corrected in our client website. • We changed keyword order on the product page and blog page including title page, header, sub header, paragraph, description, images, meta title and description and of course URL. We made changes in product targeting keyword and URL to make it friendly. In addition, we built Meta description that looks like advertisement rather than couple of rubbish words. • We also corrected separated web pages by inter linking web pages with each other. Be careful while making inter links because it should be looking like natural link building. We also removed same anchor text in website and told clients to avoid link all web pages with each other because search engine like Google will count it as a spam link building. • We provide Rich Snippet that can give impression to visitors about search. They are built in HTML code and can be of authors, reviews, events, music albums, etc. People generally search in Google and when they find such snippet, there are more chances of click through on site. • We emphasize on customer review is the inevitable part in online marketing strategy. When website has customer review column below product, it will give influence to product sales. Customers read reviews before purchasing any product also write their feedbacks. It also helps to increase conversation on website. • We did change in social media strategy to bring the product in front of the world. We added social media tools to product page, blog page, and homepage. Social media like Facebook, Twitter, and Google+ are some renowned platforms where sharing content, feedback, and news can increase brand awareness. • We also added blog content to a website to optimize keywords other than of website pages. Blog post should have great quality content without stuffing of keywords. We suggested them to make a series of content on a single topic that brings quality as well depth knowledge to readers. Off-page optimization is an integral part of website ranking that includes social media optimization, writing press release, guest blogging, Deals and discount, PPC etc. We here, concentrated on natural link building, that can increase ranking as well as create brand awareness among users. We also published coupon codes that carry immense discounts on different product category so that mostly users can take advantage of quality garments. We also took help of social media and blog to increase awareness about amazing deals and discounts. Moreover, the strategy worked in a well manner, we received nice response from online shoppers and at last, it increased brand value as well sales and revenue. Link building is an important part to bring visitors to website and by keeping this idea in mind, we here concentrate on natural link building and tried to build links through article content, press release, guest blogging, quote for story, research study, etc. We also bear in mind that the link that we put in content is relevant to the content otherwise as per search engine like Google it would be count as spam links. We focus on high quality content that helps to generate natural links. We also did the best optimization of social media to spread the awareness of brand and product though social bookmarking sites, RSS feed, social networking sites like Facebook, Google+ and Twitter and social news etc. We also made video to increase awareness of brand through various video platforms like YouTube. We added share button to share content that carries image. We also emphasized on listening social media chatter and considered their results. We stated client to participate in PPC campaign because PPC (Pay per click) is a great advertising campaign run by Google that works on click base. When a visitor clicks on advertisement, ecommerce merchant has to pay some of amount to Google. It lessens unwanted traffic on website and brings valuable traffic to website. It means if a visitor is interested in product then he will sure inquire to website through PPC. Just pay minimal amount and could get high conversion rate. Finally, from the above case study, we have presents the above points that bring charm to client’s website and increase almost 400% website traffic and 55% increase in sales figure. When online marketing perspective is done, there will be growth in website sales and revenue, search ranking. Due to frequently, changing algorithm online marketing has now become continual updating task that requires different strategic implementation on regular intervals.